BlackBerry was once one of the leading manufacturers in mobile handsets along with Nokia. They were specialized in making handsets that are mainly used by business class people. The primary reason behind this was, these handsets used to give extra security for their emails and messages. Also the calls and other communications remained untracked even by best intelligence agencies in the world. But these glory days came to an end when Android smartphone revolution came. Premium BlackBerry handsets were doomed in the wave of Android smartphones. 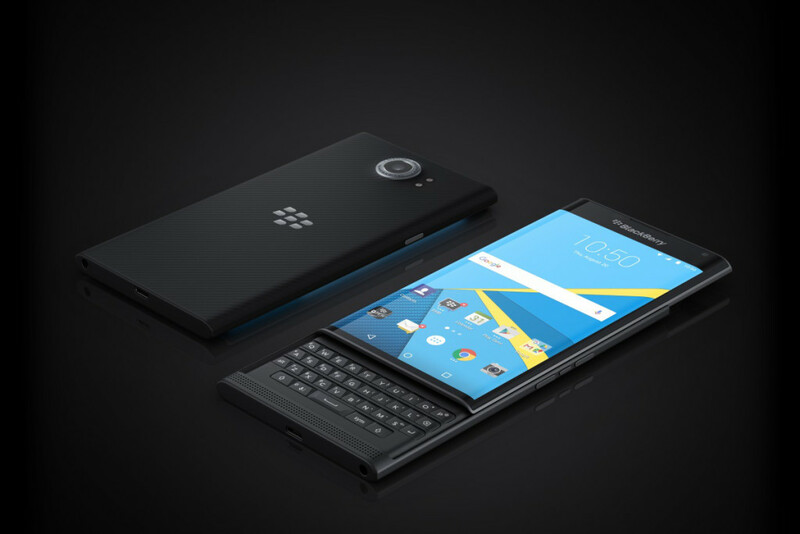 But now BlackBerry now attempts a comeback with their latest Android make named Priv. 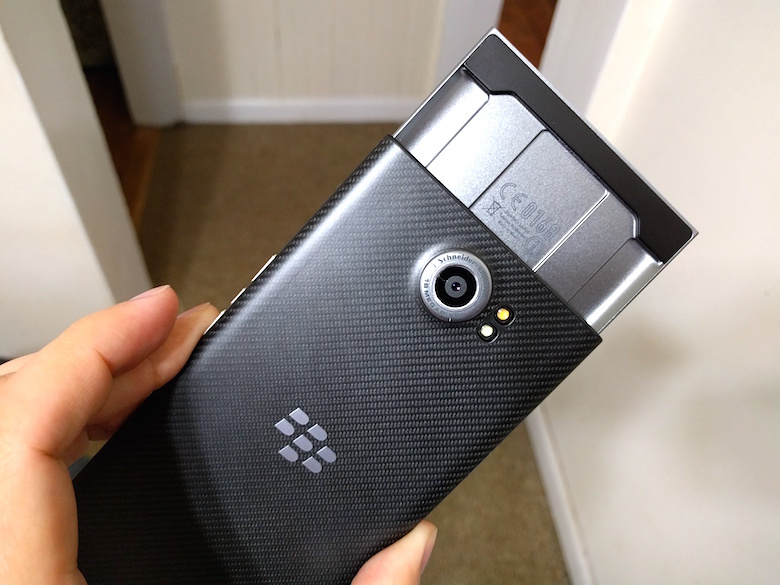 Priv is the first such attempt from the BlackBerry in the area of Android handsets. The dimension of the handset comes to be 5.7*3.04*0.37 inches and when the slide is opened it becomes 7.2*3.04*0.37 inches. This handset features a weight of nearly 192 grams. The display is 5.4 inches wide with AMOLED display and is having 2560*1440 pixel resolution loaded with 540 PPI. The 5.4 inched screen is covered with protective Corning Gorilla Glass 4, which would prevent the screen from getting scratches. The screen has got a curved edge which would make the 1440 pixel resolution display to show images, videos and texts with much sharpness and eye catchy.The handset is loaded with a physical keypad under the display, which can be accessed by flipping up the screen. The keypad is backlit enabled which resembles the old BlackBerry Classic. But the only problem with that keypad is that the keys are too narrow that one cannot type on those keys too fast, atleast for those who are familiar with touchpads.Most of the slide handsets has got problem with the slider. But in case of Priv, you don’t have to worry at all. The slides are made of high quality aluminium which is strong, durable and elastic. The handset can be easily held in the palms due to its grippy matte finished back panel. The only thing that comes with metallic smooth surface is just the four keys. They are the Power Button which you can find on the left side, then the volume up and down buttons along with the quick mute button to stop playing the audio. The audio in this gadget is enabled by twin speakers on the front covered by external grills, which you can find below your screen. Priv offers NFC connectivity where you can pay online with the help of Android Pay. This handset is also loaded with one microUSB v2.0 along with one HDMI, DVI and DisplayPort. 4K video can be shown on the handset with nearly 30fps. 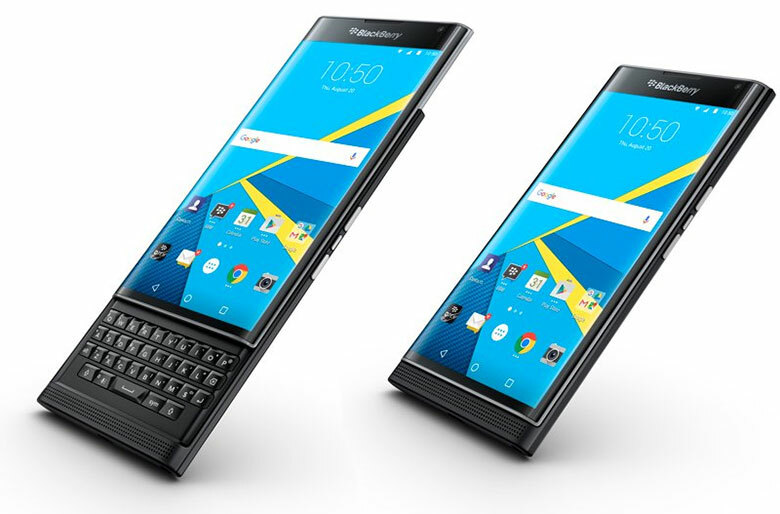 BlackBerry Priv is powered by 64-bit Hexa-core Qualcomm Snapdragon 808 processor. This makes the handset to have a live competition with Samsung Galaxy S6. The processor is configured by 2 Cortex-A57 cores that clocks at 1.8GHz while 4 Cortex-A53 Cores that clocks at 1.44GHz. This is again supported by 600MHz Adreno 418 graphics. This additional support of graphics helps the handset to run graphics oriented applications and games like Asphalt.These all grant the handset users a promise that the device will function without confronting the issues like lag in operations and lesser performance. The handset features a memory of 3GB RAM along with an internal storage of 32GB which can be expanded with the help of an external memory card.The integration of external expandable memory is actually an advantage for BlackBerry Priv, since many of the premium made handsets do not have this option.The processor of new BlackBerry Priv equips it to compete with any of the premium handsets available in the market for the time being. Users can interact with the gadget with the help of Android 5.1.1 Lollipop. Another glad news is that this can be upgraded to Android 6.0 Marshmallow in the very near future. The Homescreen of the gadget looks similar to that of Google Now Launcher. But when opened, you can see three tabs and certain other selection options for the apps. The launcher enfolds the widgets just like any Android launchers but is embedded with an additional tab for BlackBerry shortcuts. You may find shortcuts for BlackBerry functions like BlackBerry Messenger, Calendar and also for Google apps like Inbox, Slides and Maps. But you cannot avail any third party application’s shortcut in your tray for the time being.BlackBerry customized the Android OS to infuse some of their features. This may include the exclusion of Android’s navigation feature.BlackBerry Hub, BlackBerry Messenger and Productivity Tab are the additions made from maker’s end. BlackBerry Hub helps you to unify all the communication systems together at one place. The Productivity Tab can take you directly to the certain applications like calendar, BlackBerry Hub, contacts lists, task lists and so on. Another greatest addition of BlackBerry is the integration of their security system named Dtek. Officials mentioned that Priv is for Privilege and Privacy. Dtek ensures that your device is impossible to hack and retrieve valid information from your handset. This can be seen as a boon or bane. The keyboard is appears to have four rows of keys but in actual function, it is lot more than that. The keypad is capacitive, which means, you can glide your fingers over the keypad which will be recorded on the display. This included gliding from left to right, which will navigate you to next page, rolling up and down in websites and concerned applications. Word suggestions will help you in typing.Also the punctuation characters can be accessed by ALT key on the physical keypad. If you are not interested in using the physical keypad, then you can rely on the screen keypad for typing. In certain benchmarks the debut gadget performed much better than the existing players in the market. But it could not surpass Samsung Galaxy S6 in any of the benchmarks and also proved inferior to HTC One A9 except in Vellamo3.2 and GFXBench 3.0. This gadget was also inferior to Sony Xperia Z5 and Google Nexus 6P except in case of AndEBench Pro. But even in these situations the applications like Asphalt 8 and Dead Trigger 2 loaded almost at same speed as they are used to in Sony Xperia Z5. The front cam is loaded with a lens of 18MP, which is authorized by Schneider-Kreunach, the lens makers from Germany. This primary camera is loaded with features like Phase Detect, Autofocus and Dual-Tone LED flash which promises quality and sharp images. When tested it proved that the lens are characterized by quick autofocus and the white balance of the camera is quite irritating.The camera app on BlackBerry Priv is simple to operate and this will help the user to capture images with much less time. The camera performed with much accuracy even in dim light. But when it comes to HDR shots, this would longer time than usual.The front cam is loaded with lens of 2MP capacity, which is quite unfortunate. This may disappoint the folks who love to have selfies wherever they go. But there is an option of Selfie Panorama, where you can have everyone in the frame. Even though this 2MP camera will be inadequate especially when you have to compete with 5MP or 8MP front cams integrated on the potential competitors in the market. Video can be recorded at 1080 pixels. The handset offers Optical Image Stabilization for video, but the problem is that this facility is available only when videos are recorded at 1080 or 720 pixels at 30fps. When this is elevated to 4K or 60fps, this feature is automatically disabled. BlackBerry Priv is embedded with a non-removable battery that has a capacity of 3410 mAh. The battery holds more capacity when compared to 3000mAh on Samsung Galaxy Note 5, 2600mAh of Galaxy S6 Edge. The company promised that this power could keep the handset lives for upto 22 hours of mixed use. When tested battery could support HD video playback for upto 12 hours and 23 minutes even after setting the brightness to 50 percent. The power section is also integrated with Qualcomm Quick Charge 2.0, which helps to charge the battery fastly. It is loaded with wireless charging feature with the help of Qi and Powermat Wireless charging mechanism. The move from BlackBerry is quite appreciable. This may be considered as a comeback by the premium phone makers of the old times. This brand is always preferred by business class people and all those who want their privacy. BlackBerry promises to keep their expectations to their best by integrating these features in their handsets. With these features the handset is tagged with a price of $699, which seems to be a worthy device. The device with the above specifications cannot be called as a high end device, but the performance will definitely keep the brand near to those high end devices in the market.Anyway this can be considered as a revamp for BlackBerry also. Performance is low when compared to major players in market.